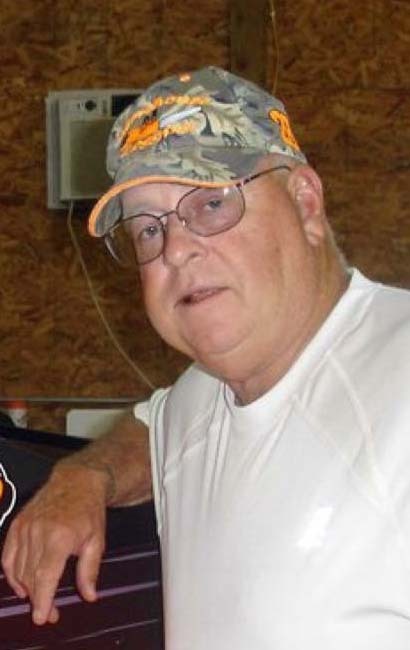 George Bruce Lingo, 71, of Coshocton passed away at his home on Sunday January 27, 2019. George was born in Coshocton on March 31, 1947 to the late Chester A. and Idora June (McCullough) Lingo. He grew up in Coshocton and graduated from Coshocton High School, class of 1965; served in the US Navy during Vietnam and retired from AEP Conesville plant after 35 years. He married Teresa (McFarland) Lingo in 1998 in Coshocton, they have been married for 20 years. George was a member of the American Legion and enjoyed his time watching football, golfing, fishing, hanging out with his friends at Rick Auto Sales and the Coffee Club at Hardees “The Hardee Boys.” He truly treasured his time with Kevin Moorehouse helping where he could with Kevin’s dirt track stock car. Along with is wife Teresa, he is survived by his two daughters Heather (Dr. Troy) Anderson of Arizona and Jennifer Lingo of Grove City; step son Tyler VanDusen of Warsaw; brothers Max (Nancy) Lingo and Al (Sally) Lingo both of Coshocton; grandchildren Alex, Alivia, Megan, Brooklyn, Blakely, Keoni and Lachlan; several nieces, nephews and great nieces and nephews; and his special feline companions Mattie, Malcom, Cousin Eddy and canine companion Ruger. Along with his parents, he is preceded in death by his special nephew Matt Lingo. A memorial service will be held at The Miller Funeral Home, 639 Main St., Coshocton on Saturday February 2, 2019 at 10:00 AM with Troy Anderson officiating where Coshocton County Veterans Honor Guard will also be performing military honors. In lieu of flowers, memorial contributions may be directed to the Coshocton County Animal Shelter, 21755 TR 164, Coshocton, Ohio 43812, envelopes will be available at the funeral home.